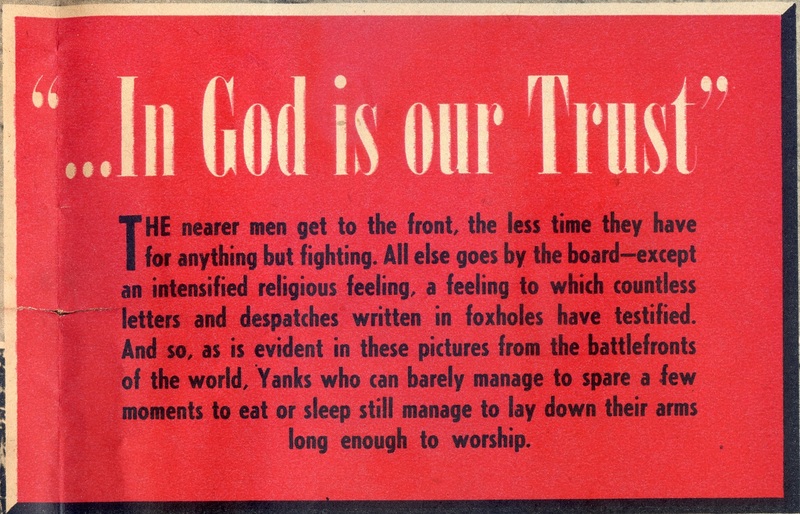 There’s an old saying, “there are no atheists in foxholes” but any chaplain will tell you there are. Combat has a way of either solidifying one’s faith, pushing one toward faith, or unfortunately, damaging the faith a person deployed with. Nevertheless, chaplains exist to support Soldiers, Sailors, Airmen, Marines and Coast Guardsmen wherever they are (geographically and spiritually) and to provide for their religious expression in combat or at home station. Posted on 1 July 2017, in Chaplaincy, History. Bookmark the permalink. Leave a comment.